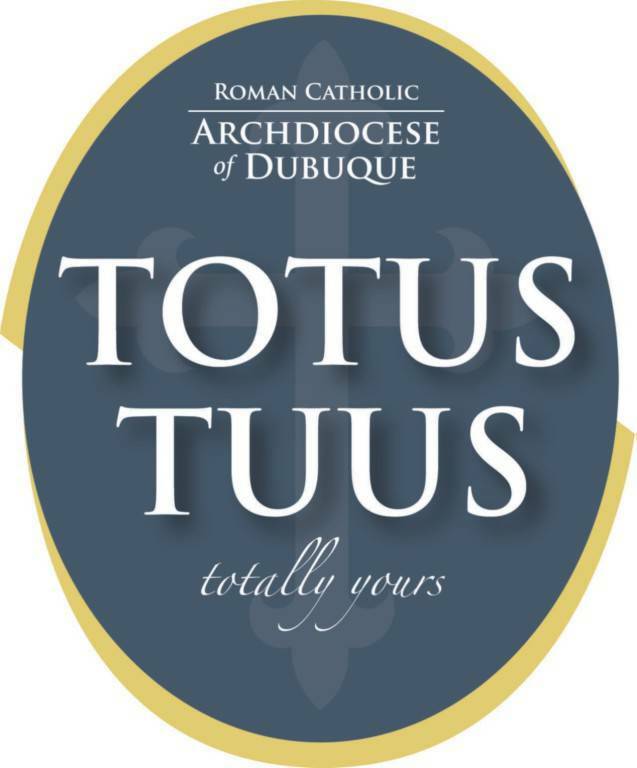 Totus Tuus in the Trinity Cluster will be here the 5th year in July 2019! Date TBD. 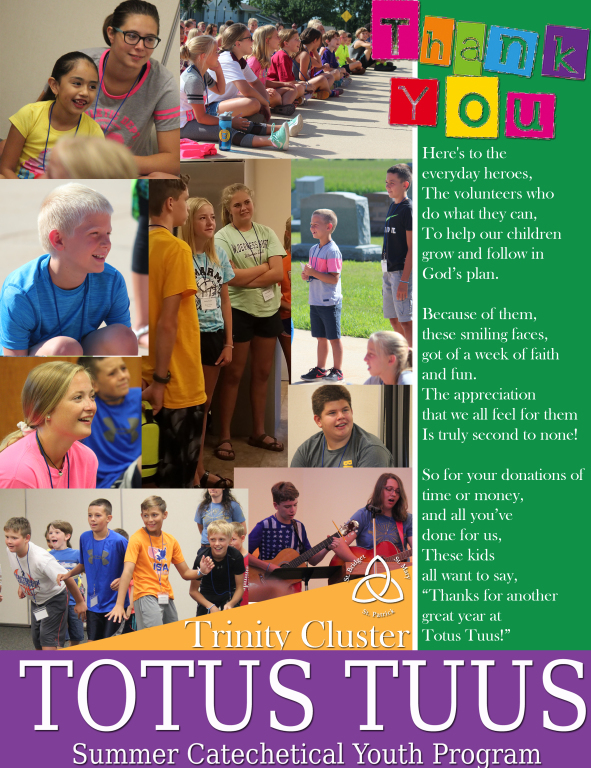 Meet the 2018 Totus Tuus Team! Kids Talk: Why do you love Totus Tuus? Highlights from our "Father Nils Cam" on DAY ONE of Totus Tuus 2018! Highlights from our "Father Nils Cam" on DAY TWO of Totus Tuus 2018! Highlights from our "Father Nils Cam" on DAY THREE of Totus Tuus 2018! Highlights from our "Father Nils Cam" on DAY FOUR of Totus Tuus 2018! Highlights from our "Father Nils Cam" on DAY FIVE (part one) of Totus Tuus 2018! Highlights from our "Father Nils Cam" on DAY FIVE (part two) of Totus Tuus 2018! Highlights from our "Father Nils Cam" on DAY ONE of Totus Tuus 2017! Highlights from our "Father Nils Cam" on DAY TWO of Totus Tuus 2017! Highlights from our "Father Nils Cam" on DAY THREE of Totus Tuus 2017! Highlights from our "Father Nils Cam" on DAY FOUR of Totus Tuus 2017!